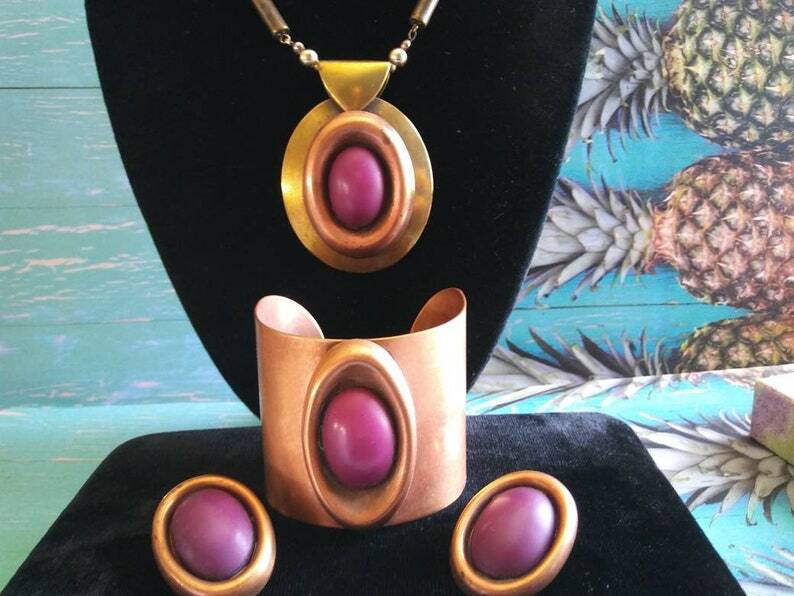 Vintage solid copper metal jewelry set, from back in the day! Necklace, cuff bracelet & matching earrings. Bold 2" wide cuff band, fuchsia colored accent is faux stone. 30" Necklace has unique mix of beads, medallion pendant is 2.5" tall, copper with brass backing. Cool mod retro style circa 1960's. 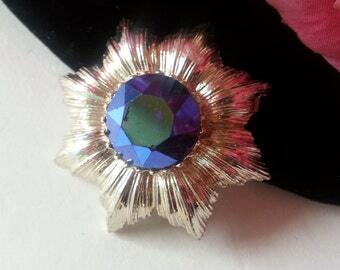 In very good condition - Complete your collection today!